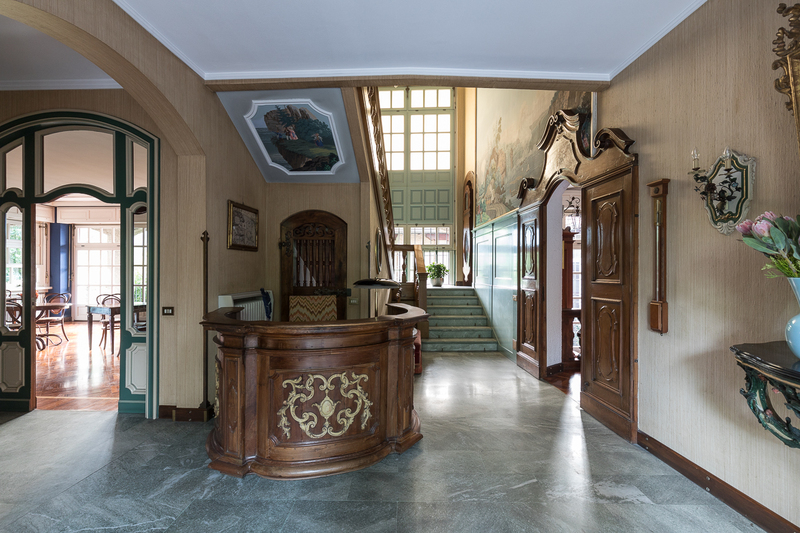 Ronco dell’Abate is the charming hotel created from the gorgeous villa where well-known intellectual and politician, Gianfranco Miglio, took refuge during his lifetime. 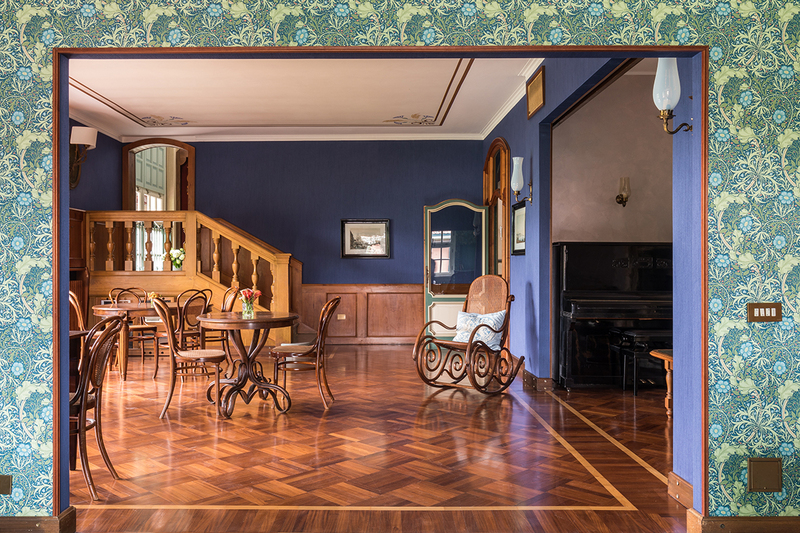 The hotel offers unmatched hospitality and an elegant atmosphere as if from another era. The rooms exhibit perfectly preserved and restored historic furnishings that have been matched with a contemporary, chic style. 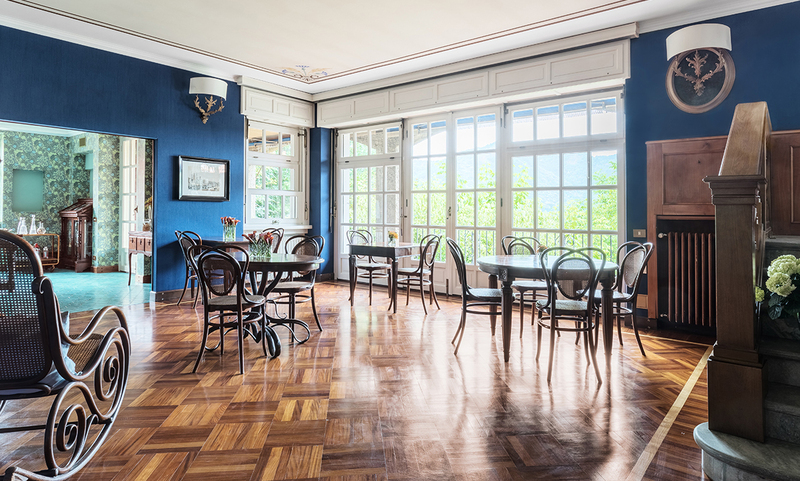 A small luxury retreat not far from Lake Como, Ronco dell’Abate is ideal for uninterrupted relaxation, hosting business meetings or cultural events, and exploring a land rich in natural beauty and culture, including a prominent silk industry. 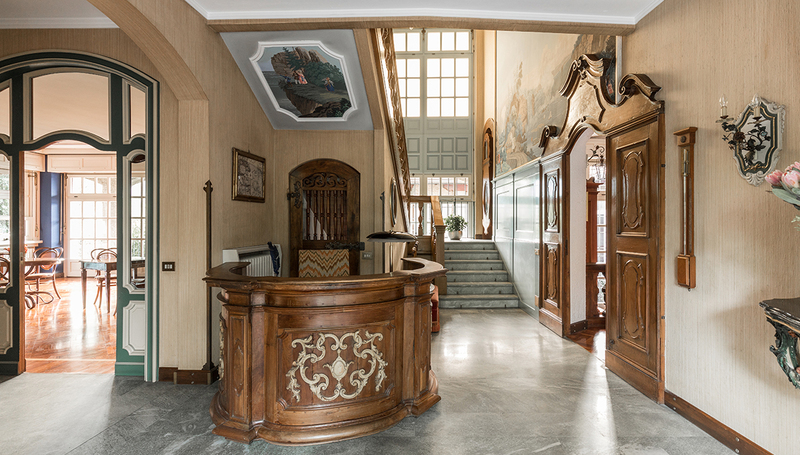 Guests are greeted at a hotel entrance that has two ancient Venetian Moro and a concierge, which was originally a seventeenth-century pulpit and later became Gianfranco Miglio’s desk. 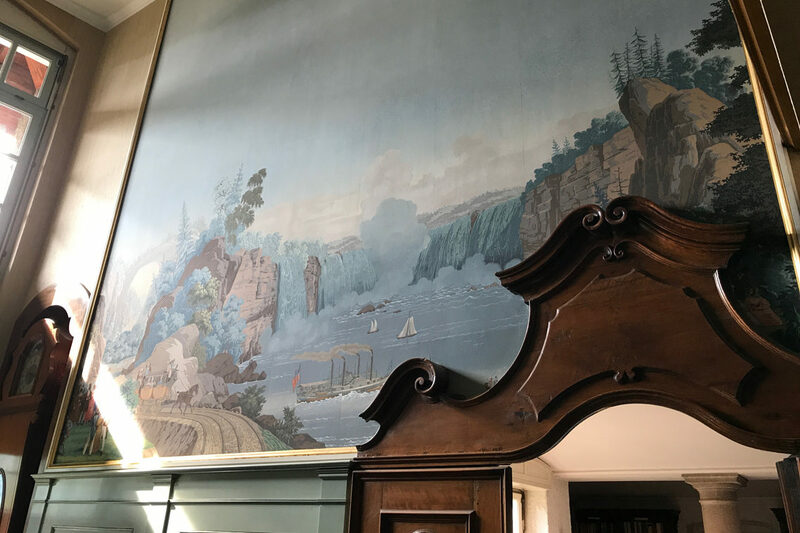 A large staircase leading up to the hotel bar is adorned with two paintings from the 1700s which are also found in the White House in Washington. These two majestic American scenes hang near a Westminster grandfather clock and are illuminated by a crystal chandelier giving off a sophisticated Bohemian vibe. 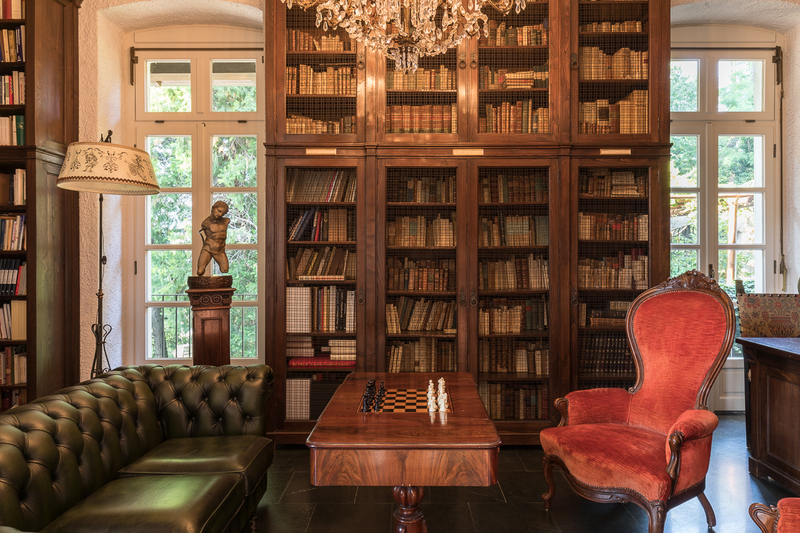 The library houses rare books, period furniture in pristine condition, antique maps, and a historic clock operated by a pendulum. Above all, there is a music box from the end of the nineteenth century, which still works and can fill the room with delightful opera music. 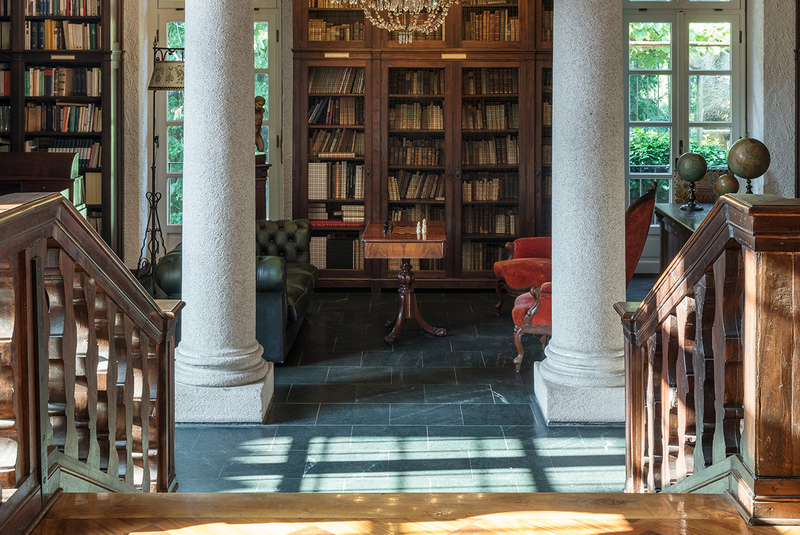 If you are as intrigued and enchanted as we are, then Ronco dell’Abate is the Como hotel for you. Gli ospiti vengono accolti all’entrata da due mori di antica fattura veneziana e da un concierge/pulpito seicentesco. La biblioteca ospita libri rari, arredi d’epoca perfettamente conservati, antichi mappamondi e un orologio storico che si movimenta con il proprio peso. L’ampio scalone che porta ai locali notte è abbellito da due grandi papier-peint del '700, come si trovano anche alla Casa Bianca.